Context: Squamous cell carcinoma is an aggressive epithelial malignancy of the upper aerodigestive tract comprising 90% of all head-and-neck squamous cell carcinoma (HNSCC). It is the sixth leading cancer worldwide, with approximately 600,000 cases reported annually. It is one of the most common cancers in India. Aims and Objective: Epidermal growth factor receptor (EGFR) being the most promising marker has potentially offered new methods to prognosticate and plays an essential role in early diagnosis and treatment apart from tumor, node and metastasis staging which has been used till now. Therefore, this study has been undertaken to evaluate the expression of EGFR in HNSCC cases, according to the new scoring system and find its association with various pathological prognostic factors. Materials and Methods: Forty-eight resected specimens of oral squamous cell carcinoma were received. Cases were appropriately staged, and paraffin-embedded tumor sections, stained with hematoxylin and eosin, were graded. EGFR expression was evaluated as extent score, intensity score and total score (TS). Statistical Analysis: Data obtained were transferred on to an excel sheet. Chi-square test with and without Yate's correction was employed to compare various parameters. P ≤ 0.05 was taken as critical level of significance. Results: A significant association was observed between TS of EGFR expression and tumor grade but not with tumor stage or lymph node metastasis. Conclusion: A significant association of EGFR expression exists with tumor grade as per the new scoring system adopted. High EGFR expression suggests uncontrolled growth which depicts that EGFR upregulation may be an early event during HNSCC carcinogenesis. 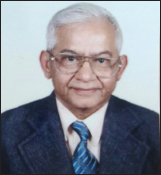 Objectives: To summarize and provide an overview of age-specific oral cancer incidence reported in 29 population-based cancer registry in India. Materials and Methods: Secondary data on age-adjusted rates (AARs) of incidence of oral cancer and other associated sites for all ages (0–75 years) were collected from the report of the National Cancer Registry Programme 2012–2014 in 29 population-based control registries. Results: Among both males and females, mouth cancer had maximum Age adjusted incidence rates (64.8) in the central zone, while oropharynx cancer had minimum AAR (0) in all regions. Conclusion: Oral cancer incidence increases with age with typical pattern of cancer of associated sites of oral cavity seen in the northeast region. Introduction: Oral cancer has been a scourge on the human population that drastically affects the quality of life-causing chronic anxiety and depression leading to disturbance in hypothalamus pituitary axis reflected by cortisol hormone dysregulation. Stress hormones affect tumor progression at different levels such as initiation, tumor growth and metastasis. Cortisol dysregulation has been reported in other malignancies; however, a thorough review of English literature revealed only anecdotal studies investigating it in patients with oral squamous cell carcinoma (OSCC). Objectives: The objective of this study is to evaluate morning plasma and salivary cortisol levels in patients with OSCC, premalignant disorders (PMD's) and smokers and/or drinkers without any lesion (risk group) and control group and its correlation with Hospital Anxiety And Depression Scale (HADS-subjective) and Hamilton Rating Scale for Anxiety and Depression (HRSA, HRSD-objective). Materials and Methods: This cross-sectional study was carried out on 25 patients each of OSCC, PMD's, risk and control group. Self-administered HADS and clinician-rated HRSD, HRSA were applied to each patient. Morning unstimulated saliva and venous blood sample were collected between 08:00 and 11:00 h to avoid diurnal variations. Morning salivary and plasma cortisol levels were analyzed using enzyme-linked immunosorbent assay method. Results: Both morning plasma and salivary cortisol levels were significantly higher in patients in OSCC group as compared to other three groups in the study which were further supported by higher scores obtained from HADS, HRSA and HRSD scales. Conclusion: The study observed that there was marked dysregulation of both morning plasma and salivary cortisol levels along with higher scores of anxiety and depression in OSCC. Context: Nitric oxide (NO) is a diatomic molecule that has been implicated in tumor progression of oral squamous cell carcinoma (OSCC). However, the mechanism of NO affecting tumor growth and progression remains unknown. Tumor progression has been recently received considerable attention, and there is increasing evidence of correlation of tumor biology and behavior. Aims: We aim to evaluate tissue NO of OSCC patients and correlate these findings with grade and stage of the OSCC patients. Materials and Methods: To count tissue nitric oxide in normal and OSCC cases. To compare the findings of tissue nitric oxide between normal and OSCC cases. Subjects and Methods: Forty-two fresh tissue specimens from the excisional biopsy of OSCC patients and 42 tissue samples of normal healthy mucosa using ultraviolet visible spectrophotometer. Statistical Analysis Used: Statistical analysis was done using Student's unpaired t-test and Tukey's post hoc analysis. Results: Tissue NO level was higher in OSCC compared with control group (P < 0.01). There was an increase in NO levels with advanced clinical staging and with decreased differentiation of tumor. Conclusions: Increased tissue NO levels in OSCC patients along with an increase in the clinical stage of the tumor and decreased differentiation of tumor indicates the association of NO with tumor growth and with staging and grading of is well recognized. Background: Reduced E-cadherin expression and increased VEGF expression is known to be involved in tissue growth and transformation of Oral Potentially Malignant Disorders (OPMDs) and has been correlated with their differing histological grades in numerous studies. Aim: To evaluate Immunohistochemical (IHC) expression of both E-cadherin and VEGF in predicting the malignant transformation potential of common OPMDs. Materials And Methods: Ten cases each of Normal Oral mucosa (NOM), Mild Oral Epithelial Dysplasia (OED), Moderate OED, Severe OED, Oral Submucous Fibrosis, (OSMF) and Oral Squamous Cell Carcinoma (OSCC) were stained and evaluated for the expression of Ecadherin and VEGF. 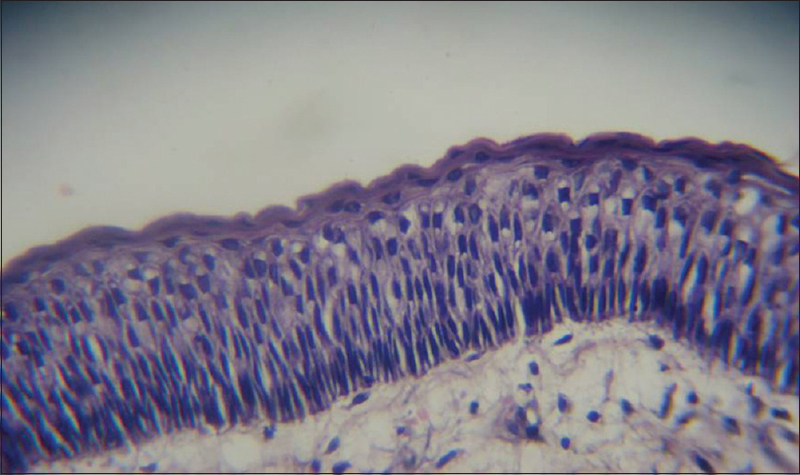 Quick score (QS) for expression intensity in all epithelial layers was calculated for both markers and results statistically analysed using Kruskal –Wallis ANOVA and Mann-Whitney “U” test. Results: E-cadherin expression was continuous and membranous in all the layers of NOM and reduced with progressing grades of OED to OSCC. In OSMF, expression was intermediate between moderate and severe OED. VEGF expression increased as the disease progressed from normal to increasing grades of OED to malignancy. In OSMF, expression was similar to that in mild OED. VEGF, E-cadherin expression for basal and parabasilar cells showed a strong statistically significant negative correlation in NOM. A very strong statistically significant positive correlation with perfect monotonic relation was noted in superficial cells in severe OED group and OSCC group. Conclusion: E-Cadherin and VEGF could be used as combination markers to predict the potential risk for malignant transformation in OEDs. 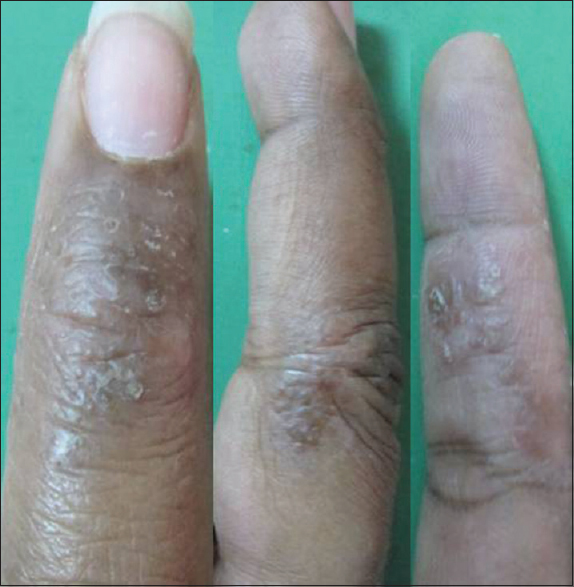 Background: Pemphigus is a group of autoimmune blistering diseases characterized by loss of keratinocyte cell adhesion that leads to blister formation clinically. Induction of apoptosis or of proapoptotic proteins by pemphigus immunoglobulin G (IgG) may be part of the mechanism by which IgG induces acantholysis. Some of the current data suggest that activation of proapoptotic proteins such as bax and caspase cysteine proteinases may sensitize cells to the acantholytic effects of pemphigus IgG. Thus, a central role of apoptosis in the mechanisms of blister induction is well recognized. Aims: This study aims (a) To find which pathway of apoptosis is involved in the pathogenesis of pemphigus and (b) to evaluate the expression of bax and caspase-8 and its key role in pemphigus. Materials and Methods: The study was conducted on 21 samples of oral pemphigus. The presence of apoptosis was evaluated in the sections taken from histopathologically diagnosed oral pemphigus archival blocks using peroxidase-antiperoxidase immunohistochemical method. Results: The expression and staining intensity of pro-apoptotic marker bax and apoptotic marker caspase-8 were observed in the various areas with varying intensity in different samples. The result was subjected to statistical analysis. Conclusion: The results obtained in the present study suggest that the process of apoptosis occurs in PV. Hence, inhibition of apoptosis in the patients could reduce the severity of the lesions, and they could also represent new specific targets for pemphigus treatment. Background: A traumatic ulcer caused by diabetes mellitus (DM) is a lesion caused by an increase in advanced glycosylation end products (AGEs), which takes a long time to heal. AGEs cause angiogenesis, vasculogenesis and a decrease in leukocytes. 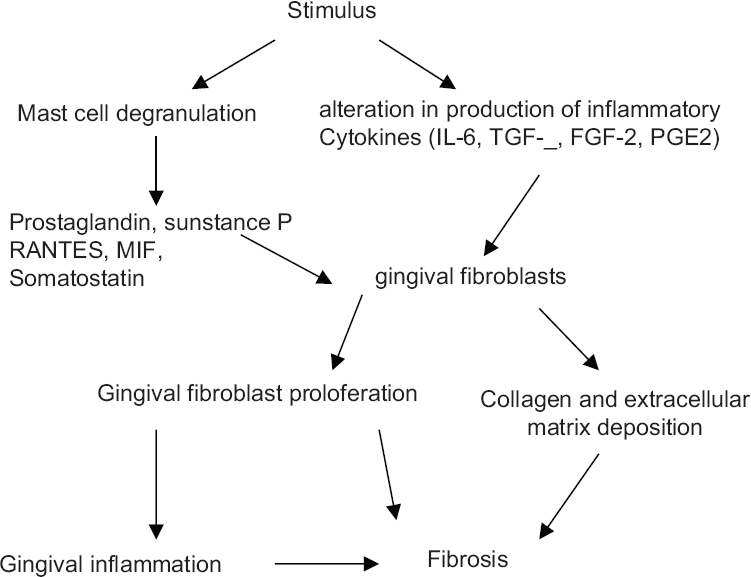 Fibroblast proliferation and the number of glycosaminoglycans decline, thereby inhibiting the formation of granulation tissue, collagen deposition and platelet derivatives growth factor. The application of topical propolis extract gel to ulcers has an anti-inflammatory function, triggers angiogenesis and accelerates wound healing. Aims: This study sought to establish whether the topical application of propolis extract gel can increase the expression of fibroblast growth factor-2 (FGF-2) and fibroblasts in the healing process of traumatic ulceration in diabetic Wistar rats (Rattus norvegicus). Methods: This was a genuinely experimental research design featuring posttest-only control groups. The simple random sampling technique involved 24 male DM Wistar rats with traumatic ulcers on the labial mucosa of the lower lip. The samples were divided into two groups: a control group whose members were administered hydroxypropyl methylcellulose gel 5% and a treatment group to which propolis extract gel was applied. The expression of FGF-2 and fibroblasts was observed on days 3, 5, 7 and 9 by means of histology and immunohistochemistry (hypothalamic-pituitary-adrenal) with Ab-Mo FGF-2. 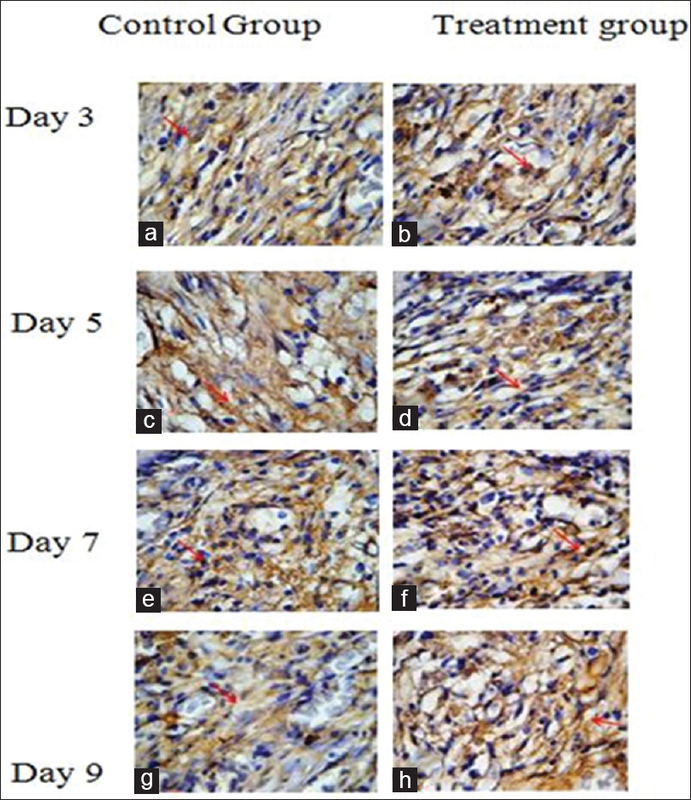 Results: The topical application of propolis extract gel increased the expression of FGF-2 and fibroblasts in the treatment group on days 5 and 7. There was a correlation between the increased expression of FGF-2 and the number of fibroblasts (P < 0.05). Conclusion: The topical application of propolis extract gel increases the expression of FGF-2 and fibroblasts within the traumatic ulcer healing process in diabetic R. norvegicus. Objective: Immunohistochemical evaluation of the degree of expression of p16 and p27 in oral epithelial dysplasia and different histological grades oral squamous carcinoma. Materials and Methods: The study consisted of 5 cases of oral squamous cell carcinoma (OSCC), 5 cases of low-risk potentially malignant disorders (PMDs), 5 cases of high-risk PMDs and 5 cases of normal epithelium. Five micrometer thickness sections on a positively charged slide were subjected to immunohistochemical staining for the localization of p16 and p27. The expression of p16 and p27 was assessed in 10 random high-power fields (×40). Staining intensity was graded, and the data were subjected to statistical analysis. Results and Conclusion: OSCC and high-grade PMDs showed decreased intensity for both p16and P27. In our study, we concluded that p16 and p27 could be used as a diagnostic marker for predicting carcinogenesis in epithelial dysplasia. Background: Harvey-Ras (H-Ras) is an important guanosine triphosphatase protein for the regulation of cellular growth and survival. Altered Ras signaling has been observed in different types of cancer either by gene amplification and/or mutation. The H-Ras oncogene mutations are well reported, but expression of the H-Ras gene is still unknown. Objective: This study aimed to examine both protein and messenger-RNA (mRNA) expressions of H-Ras in oral squamous cell carcinoma (OSCC) and analyzed the association with risk habits and the clinicopathological profile of cases. Methodology: A total of 65 tissue specimens of OSCC (case group) and equal number of normal tissues (control group) were included in this study. H-Ras protein and mRNA expressions were analyzed using immunohistochemical and quantitative real time-polymerase chain reaction techniques, respectively. Results: The H-Ras protein was significantly overexpressed in the oral carcinoma group compared to the normal group (P = 0.03). Most of the OSCC cases showed positive staining with moderate expression, while negative and moderate staining was high in the control group. The majority of H-Ras positive cases were found in individuals with multiple risk habits including tobacco chewing. The risk of H-Ras positivity was 1.46 times higher in smokers than non-smokers. H-Ras positivity increased in cases affected with buccal mucosa site and higher grade of carcinoma. Relative mRNA level of H-Ras was significantly elevated in oral carcinoma as compared with the control group (P ≤ 0.001). Protein and mRNA levels of H-Ras in case group was poorly correlated. Conclusion: H-Ras oncogene expression was markedly higher in oral carcinoma, and it can be a prognostic marker and target for an effective molecular therapy. Background: Dental pulp inflammation is a very complex process due to its situation in low compliance (confined environment) surrounded by mineralized dentin. Mast cells are one of the mediators of inflammation. Immunohistochemical localization of mast cells by anti-tryptase antibodies in formalin-fixed paraffin-embedded sections has been shown to be highly specific. The aim of the present study is to quantify the mast cells in inflamed and noninflamed human pulp tissue using immunohistochemical analysis. Materials and Methods: Immunohistochemical localization of mast cells by anti-tryptase antibody was done in 15 inflamed and 15 noninflamed formalin-fixed paraffin-embedded pulp tissue. A number of mast cell per five high-power fields were performed using three observers and the mean was calculated. Statistical analysis was performed using t-test. Results: The results of the present study showed an increased number of mast cells in inflamed pulp in comparison with noninflamed pulp. Conclusion: Thus, the presence of mast cells in pulp inflammation could be used as a diagnostic marker. It can also aid in the management of pulpitis as mast cell stabilizers and antihistaminic agents could be used to control pulpal pain and inflammation. Adequacy of resection margins is of utmost importance for decisions regarding postoperative treatment and prediction of prognosis in patients with oral squamous cell carcinoma. However, there are differences in opinions about various basic concepts of surgical margins in oral and maxillofacial pathology. Fundamental issues such as concepts of positive or negative surgical margins and impact of epithelial dysplasia at margin require clarification to standardize the practice of postoperative margin surveillance. The issue of postresection tissue shrinkage must be considered and addressed while reporting the status of surgical margin. The current status of “molecular assessment” of resection margins is far from mature and it may expand the horizons of postoperative margin surveillance in future. The present review summarizes the fundamental concepts and methods involved in postoperative assessment of surgical margins in oral and maxillofacial pathology. This will help in understating the rationale of current approach for the assessment of resection margins. Understanding the limitations of the existing approach will also help to improve our practice of postoperative margin surveillance. Cytoskeleton of a cell is made up of microfilaments, microtubules and intermediate filaments. Keratins are diverse proteins. These intermediate filaments maintain the structural integrity of the keratinocytes. 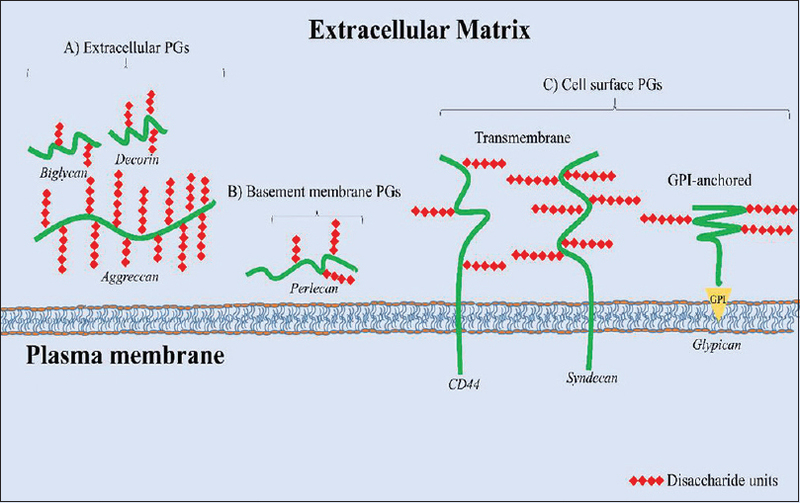 The word keratin covers these intermediate filament-forming proteins within the keratinocytes. They are expressed in a specific pattern and according to the stage of cellular differentiation. They always occur in pairs. Mutations in the genes which regulate the expression of keratin proteins are associated with a number of disorders which show defects in both skin and mucosa. In addition, there are a number of disorders which are seen because of abnormal keratinization. These keratins and keratin-associated proteins have become important markers in diagnostic pathology. 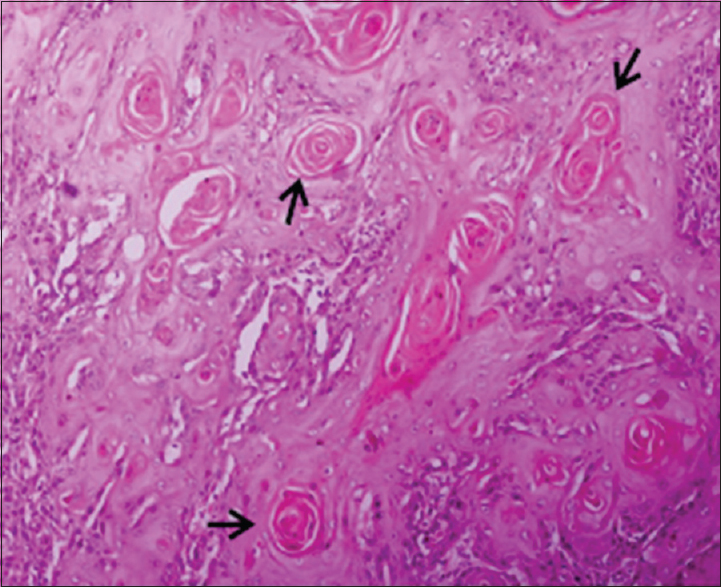 This review article discusses the classification, structure, functions, the stains used for the demonstration of keratin and associated pathology. 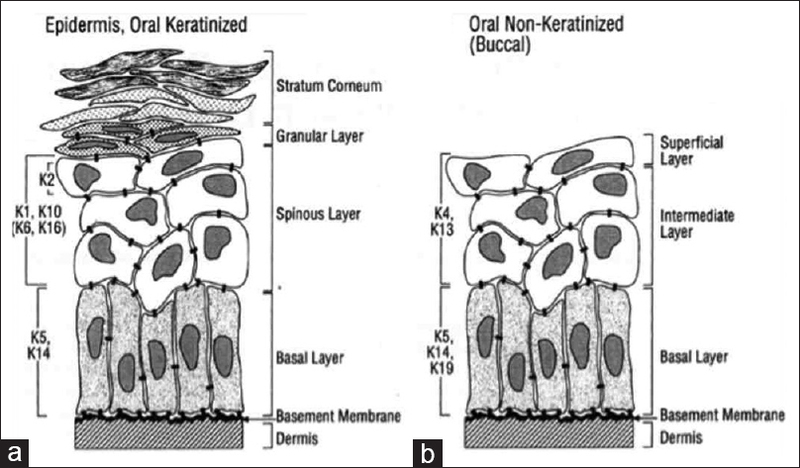 The review describes the physiology of keratinization, pathology behind abnormal keratin formation and various keratin disorders. Mast cells (MCs) have been discovered over 130 years ago; their function was almost exclusively linked to allergic affections. At the time being, it is well known that MCs possess a great variety of roles, in both physiologic and pathologic conditions. In the oral tissues, MCs release different pro-inflammatory cytokines and tumor necrosis factor-alpha that promote leukocyte infiltration in various inflammatory states of the oral cavity. These cells play a key role in the inflammatory process and, as a consequence, their number changes in different pathologic conditions of the oral cavity, such as gingivitis and periodontitis. By understanding the role of MCs in the pathogenesis of different inflammatory diseases of the oral cavity, these cells may become therapeutic targets that could possibly improve the prognosis. Therefore, this review summarizes the current understanding of the role of MCs in various inflammatory pulpal, periapical and periodontal pathophysiological conditions. Proteoglycans (PGs) are essential for normal cellular development; however, alterations of their concentrations can promote tumor growth. To date, a limited number of studies report the presence of PGs in odontogenic tumors (OTs); therefore, the main purpose of this work is to gather the information published on the study of PGs. The search reported 26 articles referring to the presence of different PGs in distinct OTs from 1999 to May 2017. PGs seem to play an important role during OTs' development as they are involved in several tumor processes; however, the number of reports on the study of these molecules is low. Thus, more studies are necessary in order to gain a better understanding of the underlying pathophysiology of OTs. Lymphomas are heterogeneous malignancies of the lymphatic system characterized by lymphoid cell proliferation. They can broadly be divided into Hodgkin's lymphoma (HL) and non-HL (NHL). NHL can originate from B, T or natural killer lymphocytes. Extranodal presentation of T-cell NHL is extremely rare and is often seen in immunocompromised individuals. Here, we report a rare case of T-cell lymphoma of the oral cavity in a 13-year-old patient. The patient was diagnosed to have T-cell lymphoma on the basis of biopsy and immunohistochemistry and was referred to the oral surgery department for definite treatment. Basaloid squamous cell carcinoma is a rare distinct histologic variant of squamous cell carcinoma of the head and neck region. Majority of them can be differentiated from squamous cell carcinoma by their aggressive clinical course and their histological features: the usual site of occurrence of basaloid squamous cell carcinoma is the upper areodigestive tract, floor of mouth and base of tongue. We hereby present two cases of a rare but aggressive basaloid squamous cell carcinoma, both affecting mandible. 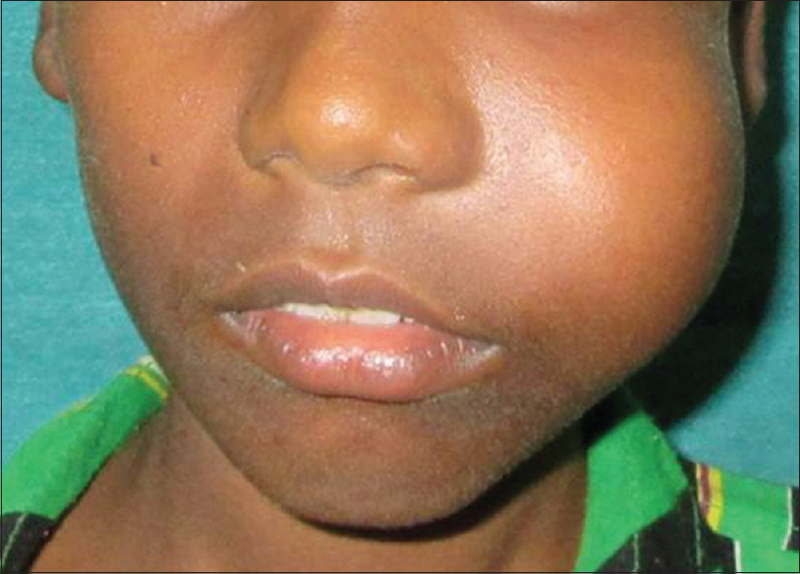 We report a rare and unusual case of a Peripheral Ameloblastic Fibro-Dentinoma (PAFD) occurring in a 3 year old Indian boy. The boy presented to the hospital complaining of swelling in anterior maxillary region with a history of trauma. Periapical radiography of the area did not reveal any bone resorption. The entire mass was excised under local anesthesia, and the histological examination revealed a diagnosis of PAFD. The postoperative course was satisfactory and the excised area has remained free of recurrence for 9 months. PAFD is a rare entity and only 5 cases have been reported in literature. The present case is one of the youngest in the group. The mode of differentiation of the odontogenic lesion is a pointer in the diagnosis and histogenesis has been discussed. 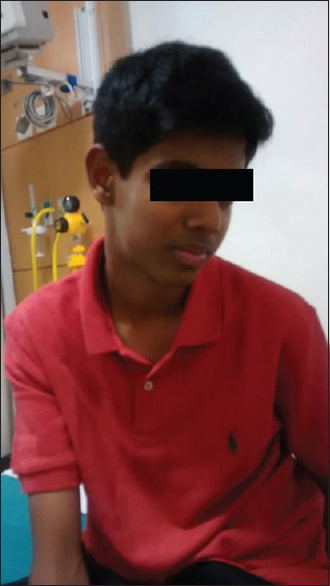 A 16-year-old male patient reported with swelling of the right submandibular region for 3 months. The patient was asymptomatic and gave a history of fever lasting for 2 days before observing the swelling. Fine-needle aspiration cytology revealed nonspecific lymphadenitis, and since there was no apparent cause detected in the oral cavity or any systemic condition noted, the enlarged lymph node was surgically excised and submitted for histopathologic examination. The inflammatory condition and large numbers of macrophages appeared nonspecific while granuloma formation was not seen. Specific antibody titer against Toxoplasma gondii was carried out and extremely high level of IgG for toxoplasma was detected confirming the diagnosis of toxoplasmosis leading to lymphadenitis. Background: There is a paucity of information about the oral and maxillofacial cytology-related articles published in a cytology journal. Journal of Cytology (JOC) is the official publication of Indian Academy of Cytologists. Objective: This study aimed to audit the oral and maxillofacial cytology-related articles published in JOC from 2007 to 2015 over a 9-year period. Materials and Methods: Bibliometric analysis of issues of JOC from 2007 to 2015 was performed using web-based search. The articles published were analyzed for type of article and individual topic of oral and maxillofacial cytology. The articles published were also checked for authorship trends. Results: Of the total 93 published articles related to oral and maxillofacial cytology, original articles (43) and case reports (33) contribute the major share. The highest number of oral and maxillofacial cytology-related articles was published in 2014 with 17 articles and the least published year was 2010 with three articles. Among the oral and maxillofacial cytology-related articles published in JOC, diseases of salivary gland (26) followed by oral exfoliated cells (17), soft tissue tumors (7), round cell tumors (6) and spindle cell neoplasms (5) form the major attraction of the contributors. 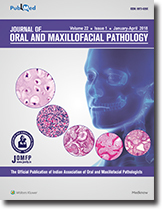 The largest numbers of published articles related to oral and maxillofacial cytology were received from Postgraduate Institute of Medical Education and Research, Chandigarh (5), and Jawaharlal Nehru Medical College, Aligarh (5). Conclusion: This paper may be considered as a baseline study for the bibliometric information regarding oral and maxillofacial cytology-related articles published in India. Introduction: Bite mark evidence is unique to an individual and plays an important role in the legal system. There has always been the need to develop newer materials for bite mark analysis that will have excellent reproducibility as well as reliability. 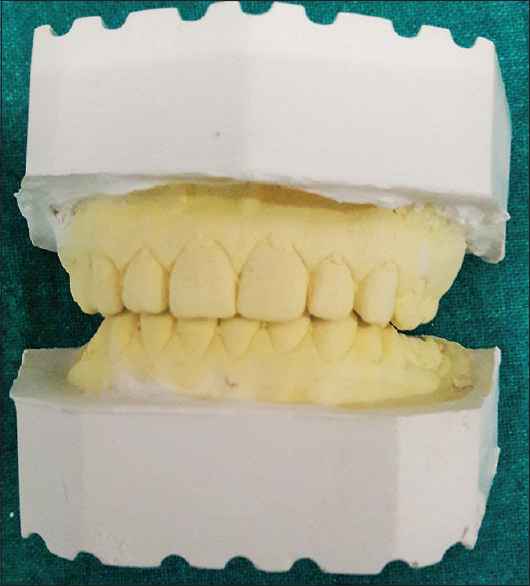 Aim: The present study aimed to evaluate the efficacy of styrofoam sheets and modeling wax with time-dependent changes when compared to the routine dental cast models. Materials and Methods: The present study included thirty volunteers and their bite marks were taken on the styrofoam and wax sheet materials that were traced on the transparent sheet and evaluation of the bite marks on the two materials were carried out at an interval of 1 day for 3 alternate days and grades were given, respectively. ANOVA test and t-test were used for statistical analysis. Results: The comparison between the styrofoam sheet and wax sheet with the dental cast on day 1 proved to be excellent materials for reproducibility, but from day 3 onward, the styrofoam sheet showed changes in bite registered area; whereas wax sheet maintained its registered dimensions. Conclusion: The study concludes that bite mark registration on styrofoam and wax sheet had excellent reproducibility on day 1, which makes these two materials advantageous in bite mark registration and overlay generation on the same day, whereas on day 3 and day 5, the styrofoam sheet showed changes with respect to bite registration and overlay generation, which questions the reliability of the styrofoam sheet for long-term record keeping when compared with the modeling wax. Aim: This study aims to examine the correlation between age and number of incremental lines in human dental cementum among single-rooted teeth (incisors and canines) and to assess the best tooth to estimate age group by studying cementum under phase-contrast microscope and to assess the use of cementum in age estimation. Materials and Methods: The present study was carried out in the Department of Oral Pathology and Microbiology. 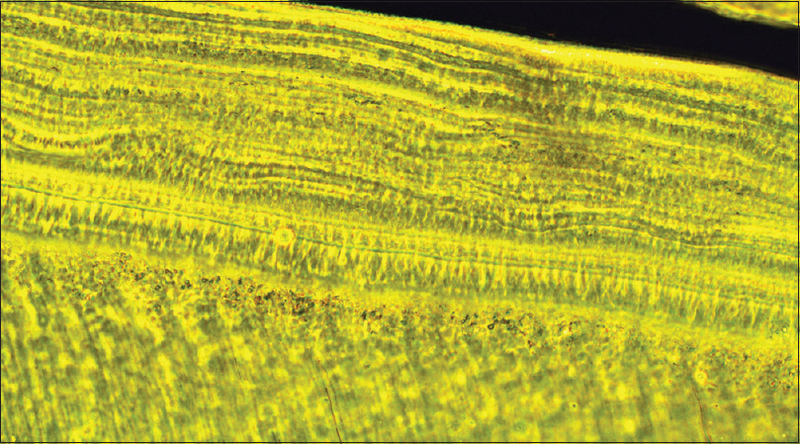 A sample of eighty single-rooted undecalcified longitudinal ground sections is prepared from freshly collected teeth with age noted separately and observed under phase-contrast microscope, photographed and counted. Counting the number of alternating dark and light lines of the cementum and adding them to the average age at which the analyzed tooth erupts provided an estimate of the chronological age of the individual. Results: The results obtained in the present study were statistically significant and positive correlation was observed between the actual age and the estimated age. The number of incremental lines was found to be gradually increased with increase in age of the individual. On an average, ±2 years of age difference were observed in our study on comparing the actual age with estimated age. Conclusion: Hence, the incremental lines of the cementum were found to be gradually increased with increase in age and hence can be used as one of the adjuvant tools in dental age estimation. Introduction: In routine tissue processing, formalin has been proved as efficient as fixative since inception and hazards associated with it are of major safety and health concern. Aim: The aim of this study is to compare the efficacy of natural fixatives such as jaggery and Khandsari over formalin. Materials and Methods: Ninety normal tissue specimen collected during minor oral surgical procedures were included in this study. Thirty specimen each were fixed in 30% jaggery (Group-A), 30% Khandsari (Group-B) and 10% formalin (Group-C). The slides obtained after tissue processing were analyzed for the quality of fixation. The tissue sections were assessed for cellular outline, cytoplasmic details, nuclear details, staining quality and overall morphology. Each criterion was rated on a scale of 1–4. (one for poor and four for excellent). The study was double-blinded and subjected to the Kruskal–Wallis ANOVA and Chi-square test. Results: The cellular outline is excellent in 90% (Group-C) followed by 36.67% (Group-B) of specimens. With respect to cytoplasmic staining 83.33% (Group-C) of tissues showed excellent results followed by 60% (Group-B), 33.33% (Group-A). Nuclear details are excellent in 86.67% (Group-C) followed by 83.33% (Group-B), 36.67% (Group-A) of specimens. With respect to staining quality 93.33% (Group-C) followed by 50% (Group-B), 26.67% (Group-A). Overall morphology is excellent in 90% (Group-C) followed by 46.67% (Group-B). Conclusion: In the present study, Khandsari was on par with formalin and our effort of using Khandsari and jaggery for tissue fixation in human oral tissues yielded good results. Background: Commissural lip pits (CLPs) fall among the rare congenital deformities recorded. CLP usually follows dominant hereditary pattern and may be associated with other congenital defects. CLP can appear as unilateral depression or bilateral depression. Objective: To assess the prevalence, age distribution, site and gender predilection of CLP in a central Gujarat population. 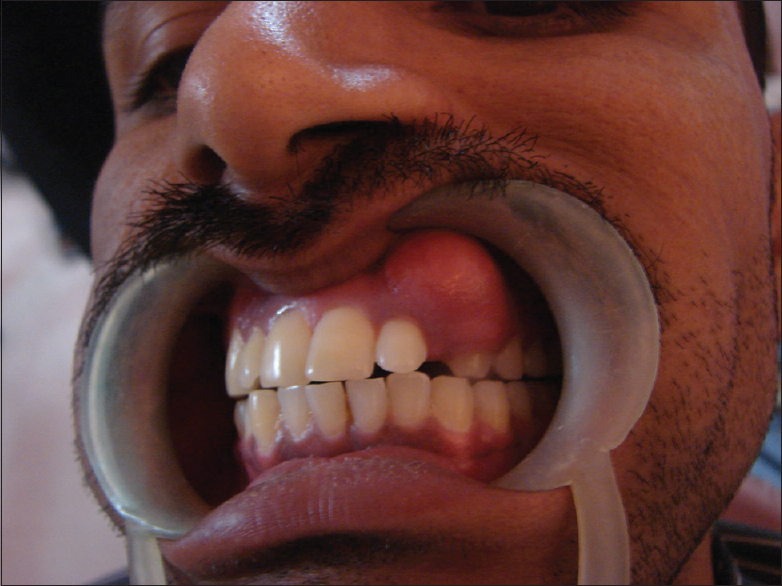 Materials and Methods: Outdoor patients over a period of 6 months were examined for clinical evidence of CLPs. Results: A total of 14,403 patients were examined for the presence of CLP. CLP was identified in 381 patients with a prevalence of 2.65%. The occurrence of CLP was more in male patients. 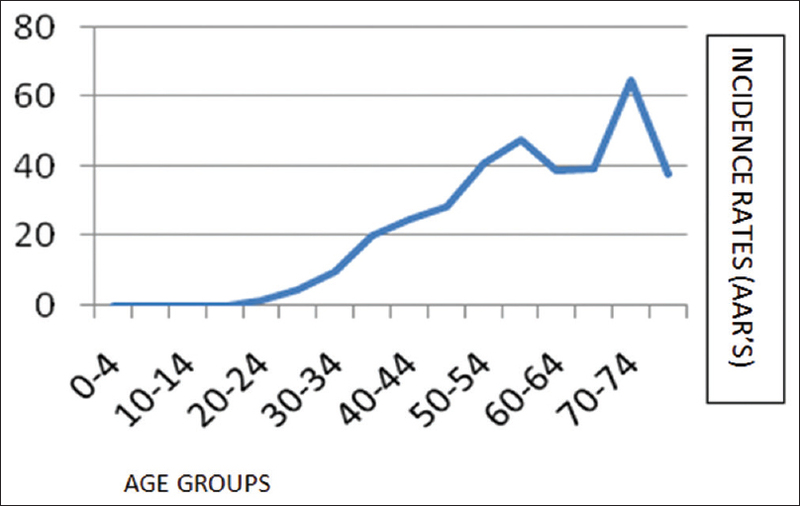 The maximum number of patients was in the age groups of 20–29 years. No significant statistical difference was observed in the distribution of CLP. Unilaterally distributed CLP was more common on the left side. Conclusion: Our study showed 2.65% prevalence of isolated CLPs with a male predilection. There was almost equal distribution of unilateral and bilateral CLP. In unilateral cases, the left side was affected the most. Although literature says lip pits can be an associated feature of certain syndromes, there were no syndromic patients in our study. Background: Antiasthmatic medications such as β2 agonists and corticosteroids have shown potential side effects such as increased caries risk and oral candidiasis. Studies evaluating microbial changes in adult asthmatics are very scanty in the literature. The present study aimed to evaluate the effects of asthma and its medication on cariogenic bacteria and Candida albicans in adult asthmatics. Aim and Objectives: Our aim was to evaluate and compare counts of Streptococcus mutans (SM) and lactobacilli in plaque and C. albicans in saliva samples of adult asthmatics with controls and during the course of medication longitudinally. Methodology: Samples were collected from twenty recently diagnosed asthmatic adults and twenty controls for estimation of microbial counts at baseline and at 3rd and 6th month after initiation of medication among cases. Results: Asthmatics at baseline had higher microbial counts than controls, but the difference was not statistically significant. Comparison between asthmatics at baseline and 3rd month after initiation of medication showed an increase in counts of SM, lactobacilli and decreased C. albicans counts though the difference was not significant. Comparison between asthmatics at baseline and 6th month and also between 3rd and 6th month showed significantly increased counts of SM. Although there was an increase in counts of lactobacilli and decreased C. albicans counts, significant results were not noted. Asthmatics showed increased microbial counts than controls overall. Conclusion: Asthmatics were found to have higher microbial counts than controls at baseline. Increase in SM and lactobacilli counts in asthmatics after medication emphasizes the need to monitor these patients regularly. Background: Oral squamous cell carcinoma (OSCC) is the most common cancer of oral cavity. Tumor stage, thickness, lymph node metastasis (LNM), extranodal spread, perineural invasion, tumor differentiation, mutations, human papillomavirus infection, and tumor microenvironment are independent prognostic indicators of OSCC. However, clinically, among all factors, LNM is considered an important prognostic factor in OSCC as it not only determines the stage of disease but also the strongest independent factor which predicts recurrence of disease. Further research proves that there are several biologically important factors in tumor tissue and LNs which promote or defend LNM. While it is proposed that tumor-associated tissue eosinophils (TATE) and mast cells (MCs) have “immuno-protective” effect, this remains unproven and various researchers have conflicting opinion. Aim: The aim is to determine the presence of TATE and MCs in OSCC and to evaluate if any association exists between them and LNM. Study Design: It is a comparative-retrospective study between 2 groups including 35 OSCC cases positive and 35 negative for LNM. Materials and Methodology: Quantification of cells was done by counting total number of cells in 10 high-power fields under ×40 objective lens using “zigzag” method and dividing it by total number of fields. Eosinophils stained bright red with carbol chromotrope and MCs purple-violet with toluidine blue. Statistics: Independent t-test and Pearson's correlation were done using STATA IC 0.2 software. Level of significance was at 5%. 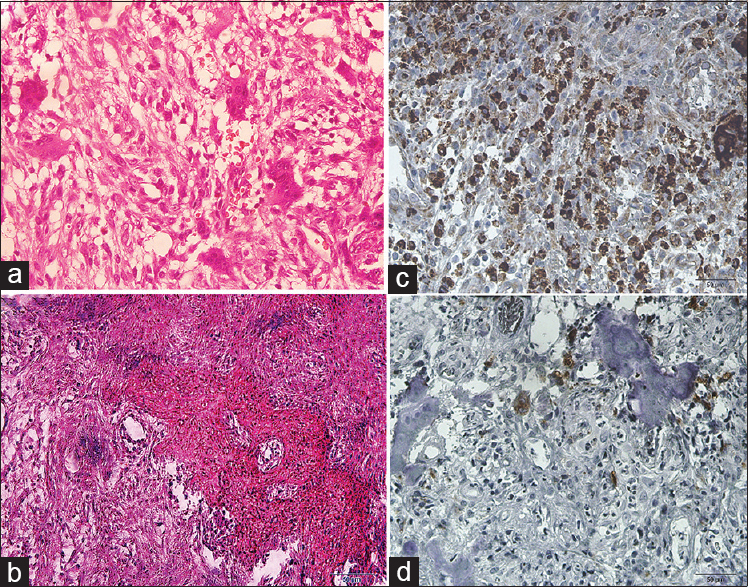 Comparison of eosinophil and MC infiltration was done based on gender, metastatic, nonmetastatic LN, and in tumor proper. Results and Conclusion: This study showed weak positive correlation between mean eosinophils count in tumor and LNs. Recognition of TATE and MCs as integral to tumor biology opens an avenue for novel approaches to cancer therapies. We conclude that an increased number of immunological cells are a favorable prognostic indicator in OSCC. Introduction and Objectives: Odontogenic cysts are the most common cysts of the jaws and are formed from the remnants of the odontogenic apparatus. Among these odontogenic cysts, radicular cysts (RCs) (about 60% of all diagnosed jaw cysts), dentigerous cysts (DCs) (16.6% of all jaw cysts) and odontogenic keratocysts (OKCs) (11.2% of all developmental odontogenic cysts) are the most common. The behavior of any lesion is generally reflected by its growth potential. Growth potential is determined by measuring the cell proliferative activity. The cell proliferative activity is measured by various methods among which immunohistochemistry (IHC) is the commonly used technique. Most of the IHC studies on cell proliferation have been based on antibodies such as Ki-67 and proliferating cell nuclear antigen. Materials and Method: In the present study, the total sample size comprised of 45 cases of odontogenic cysts, with 15 cases each of OKC, RC and DC. Here, an attempt is made to study immunohistochemical (streptavidin-biotin detection system HRP-DAB) method to assess the expression of Ki-67 in different layers of the epithelial lining of OKCs, RCs and DCs. Observations and Results: Ki-67 positive cells were highest in epithelium of OKC as compared to DC and RC. Conclusion: The increased Ki-67 labeling index and its expression in suprabasal cell layers of epithelial lining in OKC and its correlation with suprabasal cell layers of epithelial lining in DC and RC could contribute toward its clinically aggressive behavior. OKC is of more significance to the oral pathologist and oral surgeon because of its specific histopathological features, high recurrence rate and aggressive behavior. 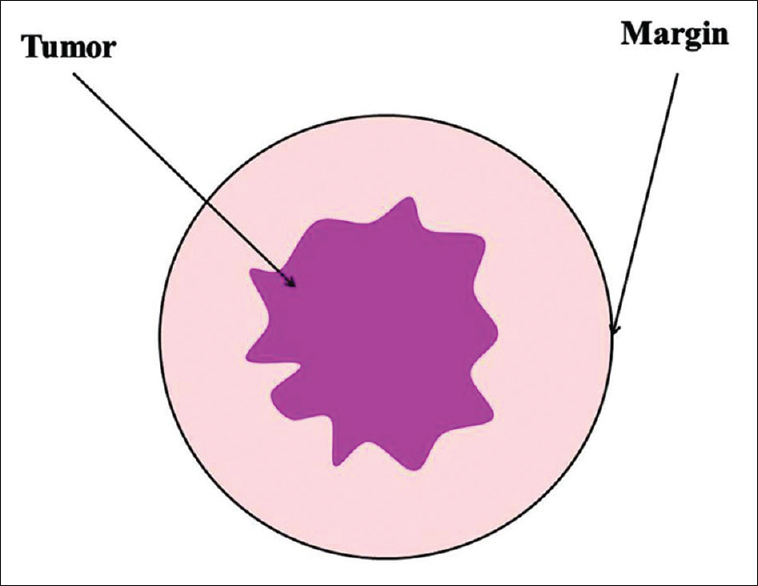 Background: Many studies have reported that macrophages and eosinophils are involved in the pathogenesis of several diseases. To the best of our knowledge, this is the first study comparing macrophages and eosinophils in oral reactive lesions. Aims: In this study, we aimed to determine the contribution of macrophages and eosinophils to the pathogenesis of oral reactive lesions and the relationships between these biomarkers and the diverse histopathologic features. Methods: Seventy-five paraffin-embedded tissue samples were assessed in this study. Five categories (15 cases for each group), including peripheral ossifying fibroma, pyogenic granuloma, fibroma, inflammatory fibrous hyperplasia, and peripheral giant-cell granuloma, were considered. 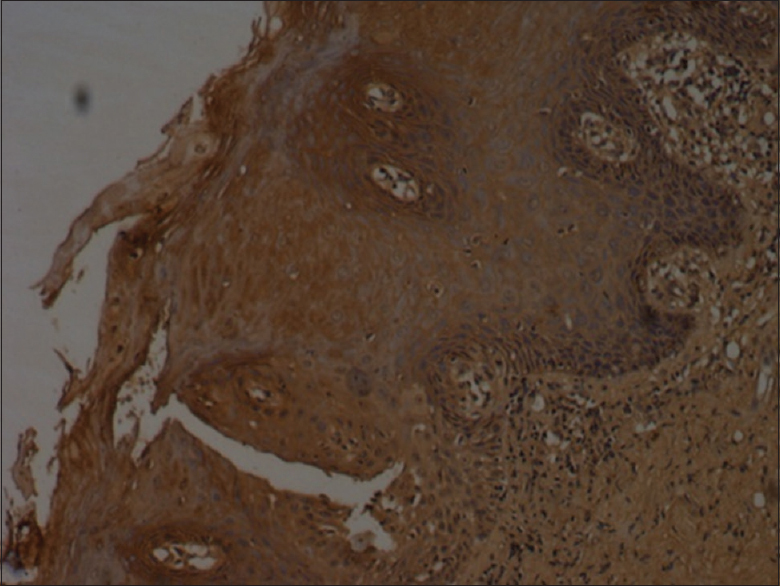 Anti-CD68 immunohistochemical and hematoxylin-eosin staining was carried out. Results: We found that macrophages, but not eosinophils, were a significant internal component of oral reactive lesions. Macrophages were observed in high densities in all studied groups and diffusely distributed or clustered throughout these lesions. The number of macrophages was increased in peripheral giant-cell granuloma compared with other groups. Conclusions: Our findings suggest that macrophages are involved in the pathogenesis and the variation of microscopic features of oral reactive lesions. However, further clinical studies should be conducted to identify the biological process behind macrophages and the molecular interactions of these cells, with the ultimate aim of suggesting a new potential therapeutic target for these lesions. We found that eosinophils were not involved in the fibrotic process and the variation of microscopic features in oral reactive lesions. Our results showed that peripheral giant-cell granulomas highly demonstrated histiocytic characteristics. Background: Cancer is Latinized from Greek word 'karkinos' meaning crab, denoting how carcinoma extends its claws like a crab into adjacent tissues. It has been well established by researchers that virtually all oral cancer are preceded by visible clinical changes in the oral mucosa usually in the form of white or red patch (two-step process of cancer development). Mg is an essential mineral that is needed for a broad variety of physiological functions. Imbalances in Mg metabolism are common and are associated with different pathological conditions. The purpose of this study was to evaluate and compare the magnesium concentration in blood serum and saliva of oral squamous cell carcinoma, potentially malignant disorders and healthy subjects to serve as a positive marker or indicator in the process of carcinogenesis. Materials and Methods: The study includes 17 precancerous (OSMF + Leukoplakia) patients, 17 OSCC and 17 control group. Blood and saliva was collected; serum and saliva was extracted from both the groups and was biochemically evaluated for magnesium levels. Statistical analysis was performed using ANOVA. 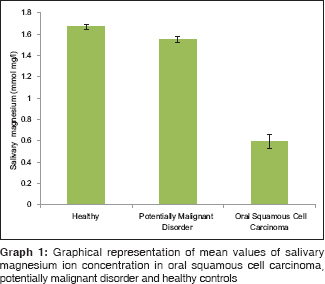 Results: The Salivary magnesium Mean ± SD of Healthy group is higher 1.6681 ± 0.0207 mmol mg/l followed by Potentially Malignant Disorder group 1.5532 ± 0.0283 and Oral Squamous Cell Carcinoma 0.5979 ± 0.0659. The mean values differ significantly between 3 groups (P < 0.001) The Serum magnesium Mean ± SD of Healthy group is higher 1.9188 ± 0.0550 mmol mg/l followed by Potentially Malignant Disorder group 1.6951 ± 0.0949 and Oral Squamous Cell Carcinoma 0.7329 ± 0.1561. The mean values differ significantly between 3 groups (P < 0.001) The study revealed decreased serum and salivary magnesium in oral precancerous patients and an Oral Squamous cell carcinoma patients compared to healthy individuals. Conclusion: The magnesium concentration was low in both blood plasma and saliva of oral squamous cell carcinoma as compared to potentially malignant disorders and healthy subjects. Thus the magnesium ion concentration in blood plasma and saliva could be considerd as tumor marker, playing an important role in carcinogenesis. Background: Xylene is synthetic hydrocarbon produced from coal tar known for its wide usage as universal solvent which has many hazardous effects. The aim of this study is to compare the efficacy of xylene-free hematoxylin and eosin (H and E) sections with conventional H and E sections. Materials and Methods: The study included ninety paraffin-embedded tissue blocks. Of these, sixty blocks were processed with sesame oil (xylene alternative) and thirty blocks with xylene. The study sample was divided into three groups. Sixty sections which are taken from sesame oil-processed blocks were stained with xylene-free H and E staining method. In xylene-free staining method, 95% diluted lemon water (Group A) and 1.7% dish washing solution (DWS, Group B) were used as deparaffinizing agents whereas the remaining 30 sections were processed with xylene and stained with conventional H and E staining method (Group C). Slides were scored for the following parameters: (i) nuclear staining (adequate = score 1, inadequate = score 0), (ii) cytoplasmic staining (adequate = score 1, inadequate = score 0), (iii) uniformity (present = score 1, absent = score 0), (iv) clarity (present = score 1, absent = score 0) and (v) intensity (present = score 1, absent = score 0). Score ≤2 was considered inadequate for diagnosis while scores 3–5 were considered adequate for diagnosis. Results: Adequate nuclear staining was noted in 90% of sections of Group A and 100% each in Group B and Group C (P < 0.05); adequate cytoplasmic staining in 96.7% in Group A and 100% each in Group B and Group C (P > 0.05); adequate uniformity of staining in 53.3% of sections of Group A, 70% in Group B and 83.3% in Group C (P < 0.05); adequate clarity of staining in 73.3% sections of Group A, 80% in Group B and 83.3% in Group C (P > 0.05) and adequate intensity of staining in 76.7% sections of Group A, 93.3% in Group B and 100% in Group C (P < 0.05). Group C sections stained adequate for diagnosis (93.3%) followed by Group B (88.7%) and Group A (78%; P< 0.05). Conclusion: Tissues processed with sesame oil and stained using 1.7% DWS were found to be effective alternative to xylene. 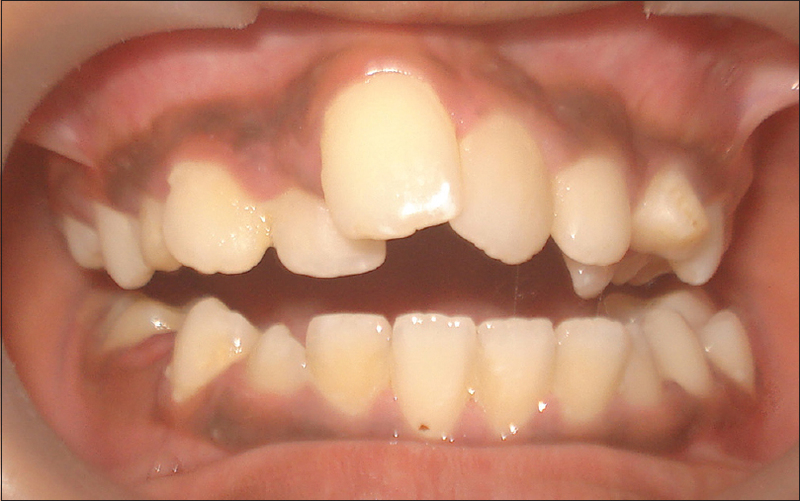 This article highlights a rare occurrence of nonsyndromic supplemental maxillary lateral incisors in a 11-year-old boy. It also includes a detailed literature review of supernumerary teeth. Minor salivary gland granuloma is rare in tuberculosis. We present a case of labial minor salivary gland granulomas occurring in the course of tuberculosis along with skin, mediastinal and liver granulomas. The patient (46-year-old man) presented with asthenia, nocturne transpiration, weight loss and compressive thoracic adenopathies. The angiotensin I converting enzyme was elevated as well as calcemia. The QuantiFERON test and culture of a mediastinal specimen were positive for Mycobacterium tuberculosis. 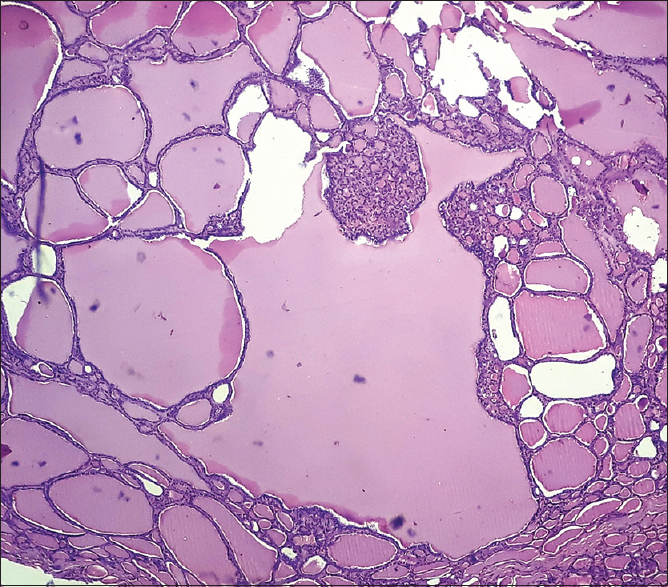 Multinucleated-cell-granulomas (focally with necrosis) were identified on skin, mediastinal, liver and minor salivary gland biopsies. 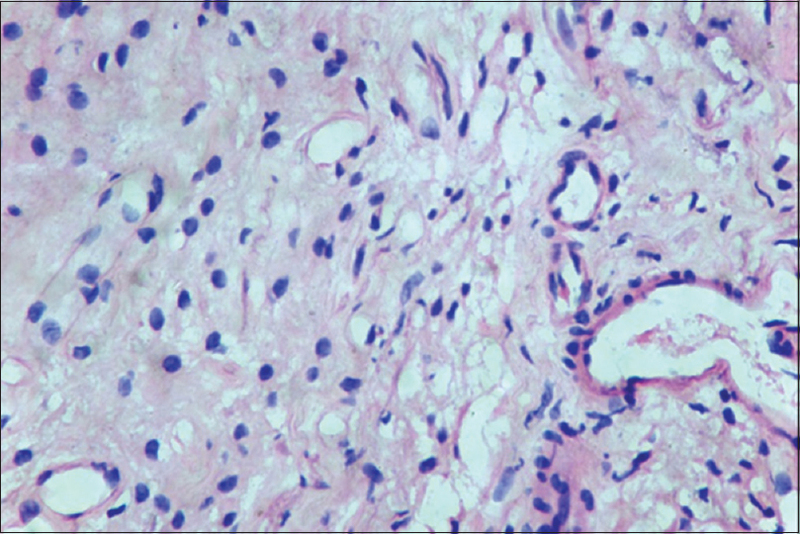 Kidney biopsy was suggestive of IgA-glomerulonephritis. Treatment (isoniazid, rifampicin, ethambutol and moxifloxacin) was started and corticoids 15 days afterward. At 1 year, the patient had recovered. 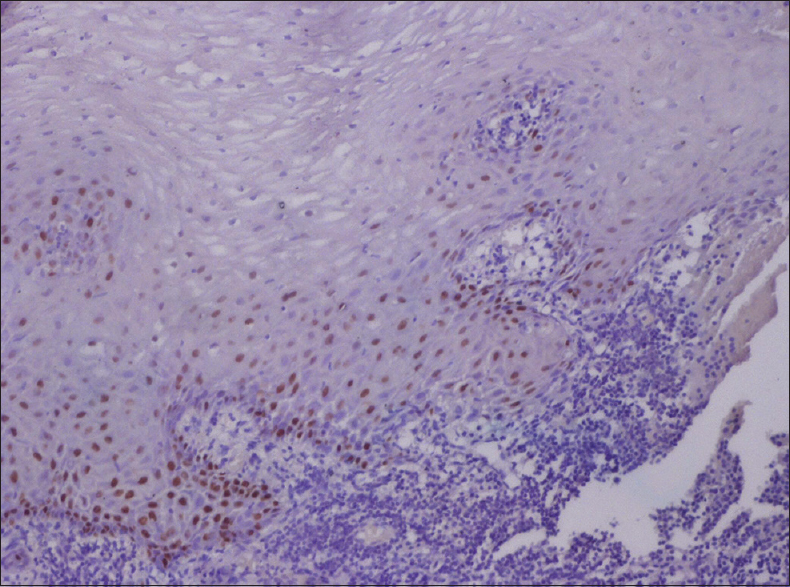 In conclusion, a case of labial minor salivary gland granulomas occurring in the course of tuberculosis is reported. Tuberculosis should be included in the differential diagnoses of labial minor salivary gland granulomas as treatments may be more complex than those for other granulomas including sarcoidosis. The dentinogenic ghost cell tumor (DGCT) is a relatively uncommon locally invasive neoplasm that mimics several inflammatory/reactive lesions of the gingiva or odontogenic cysts. The confirmatory diagnosis of this rare lesion can only be made with histopathological examination. 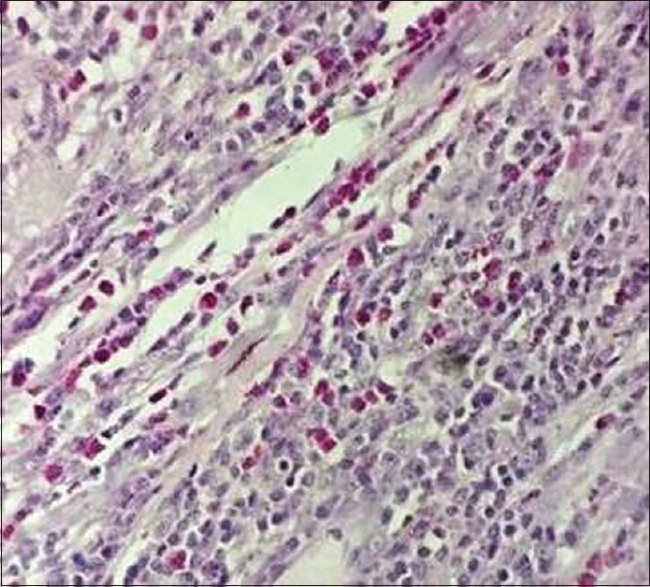 Routine staining reveals features of a “mixed” tumor as ghost cells with calcification, dysplastic dentin and islands of epithelium in rosette pattern in mature connective tissue are visible. 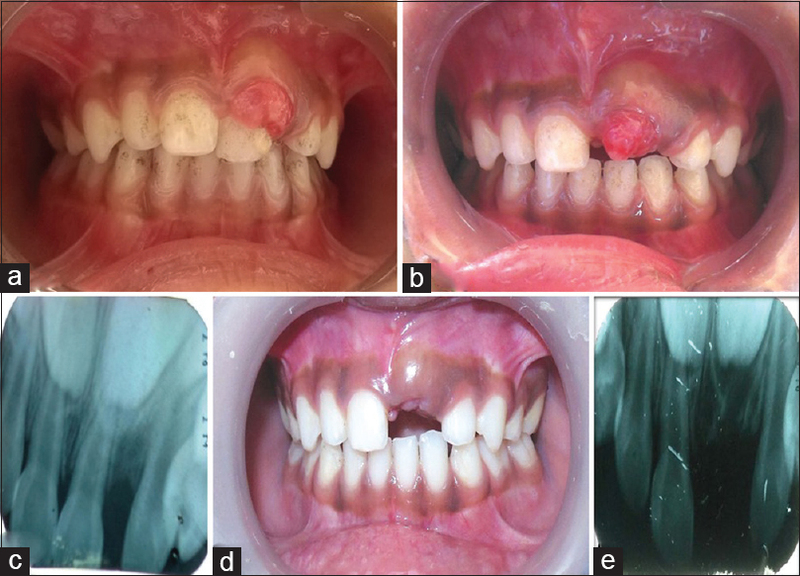 The case report describes an asymptomatic growth in the maxillary gingiva of a young patient that was incidentally diagnosed as a DGCT after biopsy. Malignant transformation of this lesion to its more aggressive counterpart, odontogenic ghost cell carcinoma has been described, and hence, regular follow-up of diagnosed cases is imperative. The purpose of the paper is to report a case that adds to the literature and this will consequently help to diagnose and understand the biological behavior of these lesions better.